Attending the Seedstars Summit is the best way to discover the most promising startups, the unicorns-to-be from Africa, Latin America, Asia, Middle East, North Africa, and Central and Eastern Europe; while at the same time learning about the tech trends in those regions and accessing a world-class network of global changemakers! Impact investment opportunities are everywhere, you just need to know how to leverage them. 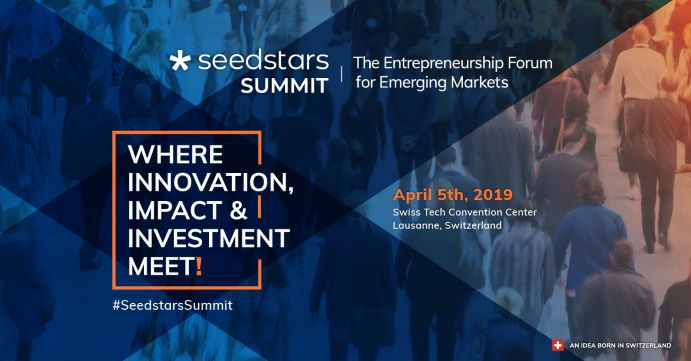 Join us for the Seedstars Summit in Lausanne, Switzerland! The Summit will take place on 5th of April and will gather key players in innovations and technology from all corners of the world, from 70+ countries to be precise. Without a doubt, the event has become like a bank holiday in celebrating entrepreneurship. Today, we stand at a point where we have visited over 85 countries and opened 10 hubs across the world. Are you ready to join us in this ambitious mission to shape the future of emerging markets?